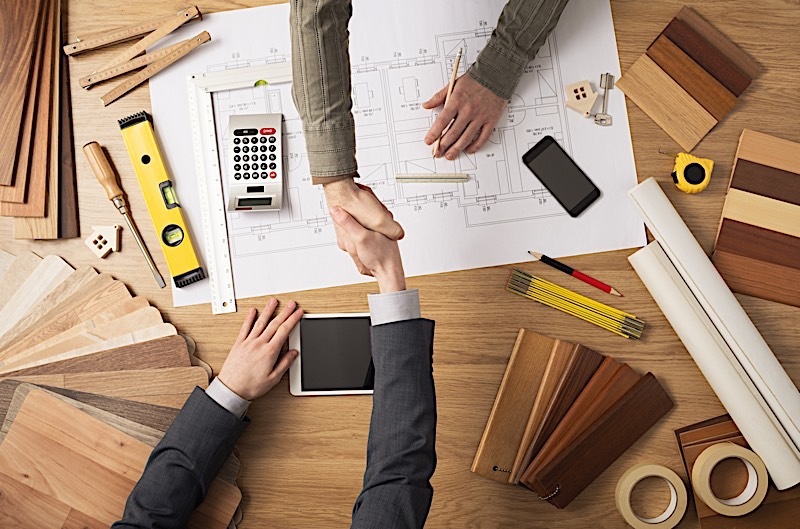 Few things take up more of an investor’s mental bandwidth than the home improvement supplies they will need to complete a deal. It is the remodeling supplies, after all, that will either detract from their bottomline or add to it. As a result, home improvement supplies warrant investors’ utmost attention, and should be paid special considerations. Finding and acquiring the right home remodeling supplies for the job could very easily make (or break) a deal. It is worth noting, however, that not all home improvement supplies are created equal; there are those that are inherently more valuable than others. More importantly, the best home improvement supplies for the job may not be as obvious as investors would hope. Some of the most important home improvement supplies aren’t those that are actually being installed in the property, but rather those that serve as the catalyst for the whole project. Foundational home improvement supplies, as I have come to call them, are the tools investors should use before anything else, and should lay the foundation for what’s to come. The most important home improvement supplies many investors covet are not what you’d expect. Instead, the most important home improvement supplies are the tools used to lay the groundwork of an impending project. Lockbox: Often overlooked, lockboxes will play an important role over the course of all your rehabs. Otherwise known as key and portable safes, these handy devices will safely store an extra key somewhere on the premises of your rehab. More specifically, however, these lockboxes will grant others access to your home without you having to actually be there––only with your permission, of course. In other words, lockboxes will save you a lot of time––time that can be spent doing more important things. Camera: Cameras play an integral role in formulating a plan. Today’s greatest investors, for that matter, are more than aware of the benefits of taking a camera into their rehab for the first time. The resulting pictures will allow them to formulate ideas and opinions without actually being on site, saving time and money in one fell swoop. Tape Measure: A tape measure is absolutely necessary for investors to have on hand. If for nothing else, it’s the tape measure that’ll give you a better idea of the dimensions you are working with. The tape measure will serve as a frontline tool; one that’s used to give you a better idea of the projects that will be possible. Flashlight: No investor should even consider entering an impending rehab without their own flashlight. Simple, yet effective, flashlights can simultaneously illuminate a dark area and keep its holder safe. Not all rehabs, for that matter, are going to have power, so it’s always a good idea to bring your own source of light. Pen & Paper: The most basic of today’s home improvement supplies, both the pen and paper are unmatched in their ability to make an immediate impact. In fact, you could argue that something to write with (and on) are the most important home improvement supplies made available to investors. The pen and paper represent the catalyst for future projects; they help investors identify areas that need work, draw up a plan and see it through. Don’t let their simple nature fool you, as a pen and paper should never be left behind. Every time you walk into a new rehab, you should be ready to write down anything you deem necessary. Buy In Bulk: A lot of department stores and wholesalers will offer discounts to those that buy in bulk. Therefore, any investor intent on rehabbing multiple homes may want to buy supplies for multiple deals, and not just the one they are currently working on. It may be in your best interest to find a product you are comfortable using in multiple homes and buying several of them, or at least enough to warrant a discount. If you are lucky, you may even find some suppliers that are willing to cut delivery costs altogether if you buy enough. It may sound counterintuitive, but it may save you money to spend more. Don’t Be Too Picky: The best rehabs are not those that cater to a niche audience, but rather the masses. That means the home improvement supplies you use shouldn’t be too unique. The more people your home “speaks” to, the better, so be sure to practice a neutral approach. Fortunately, neutral home improvement supplies favor the budget conscious. In refraining from being too picky and making special orders, you will find your budget to be much more manageable. Measure Twice And Cut Once: Mistakes are expensive. The more mistakes you make, the more you will chip away at your bottomline. That said, it’s reasonable to assume that the fewer mistakes you make, the more money you’ll be able to save. Presumably, the more mistakes you make, the more supplies you’ll have to buy, so it makes sense to run your rehabs like a contractor: “measure twice and cut once”. Don’t Ignore Package Deals: As I already alluded to, it may be in your best interest to spend more––in order to save more, of course. Specifically, package deals often offer discounts to those willing to buy more upfront. Washer and dryers are the perfect example; they are often discounted when purchased together. If you are looking to save money on your next rehab, try looking at places that offer package deals. The best places to buy home improvement supplies will ultimately depend on what you are looking to do with your rehab. That said, these tricks will work almost anywhere, and should be implemented by just about every rehabber. Home improvement supplies are not limited to the usual suspects we have all grown accustomed to. While renovation materials like flooring, tile, paint, and even countertops probably occupy the forefront of every investor’s thoughts, there is an alternative renovation materials list that warrants equal consideration. In my professional opinion, the most important supplies are those that act as the foundation of a sound rehab, or those that facilitate the process from the beginning. To that end, the most important home improvement supplies are none other than the most foundational tools we have all come to rely on. A truly great renovation materials list will not only include the items you intend to use on the home, but also those that will help you get the ball rolling. To find discounted home improvement supplies you must get creative and think outside of the box. Cheap home improvement supplies could turn a good rehab into a great rehab.